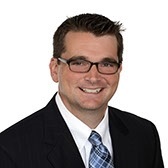 Timothy J. McGeeney is a Vice President and Senior Portfolio Manager that joined Meyer Capital Group in 2002. He leads the Investment Committee that is responsible for transforming research and the firms due-diligence process into actionable investment strategies. Tim also maintains several key client relationships and writes the MCG blog. He has spent more than 20 years working in the finance industry with a focus on portfolio management and servicing high-net wealth clients. Prior to joining MCG, he worked at Morgan Stanley and Paine Webber as a portfolio manager. His work experience also includes five years as an Operations Manager and Financial Officer with a general contracting firm. Tim is inspired by the everchanging economic and investment landscapes and is motivated to evolve with the industry. As a result, he has earned the right to call himself a Certified Funds Specialist (CFS®) and an Accredited Investment Fiduciary (AIF®) from Fiduciary 360, an organization which promotes a culture of fiduciary responsibility and improves the decision-making processes of investment fiduciaries. He also holds a FINRA Series 66 license. He graduated from Loyola University with a Bachelor of Arts in Finance and led the Varsity Lacrosse Team as Captain and three time All-American. He has also been inducted into the Loyola Hall of Fame for setting many of the school records and played Major League Lacrosse as a goaltender with the Baltimore Bayhawks – a team that won the MLL championship in 2002. When Tim isn’t in his office reading about the markets and developing portfolio allocations, he’s usually working out, spending time with his wife and two children or sharing his love for lacrosse by coaching and mentoring student-athletes of all ages.